FINNALLY! I've been waiting for these since they were supposed to be released! Os the Woody one out too? Has anyone seen this costume at DCA? I was wondering if only Epcot was getting it. Yes, we are getting them, we probably have them already. We usually get it a day or 2 after WDW. I almost fell of my chair reading we get items before WDW. lol they seem to forget Walts park. I'm here at DCA and I can confirm we have the Buzz costume, but no Woody just yet! And there was a long line for Duffy! I think these new costumes are gonna make his popularity EXPLODE! who doesn't wanna dress up their own bear in a TS Outfit? Now that is too cute........I love it! Didn't see Woody yet.....I'll find out on Monday if he's in. 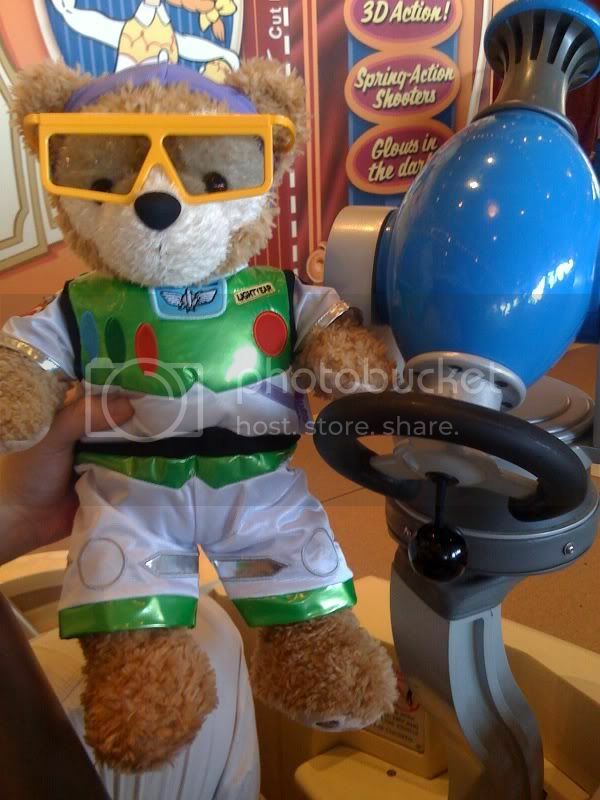 Im headed out the door to go check out Duffy new costume. I'm surprised by the quality if this costume! No press ons, just embroidery! And there's more detail in this one than any of the other ones COMBINED! also it cones with the wings! Pretty cool! But I won't be getting it anytime soon, I mostly want the woody one more! I'm more of a Woody fan than Buzz. 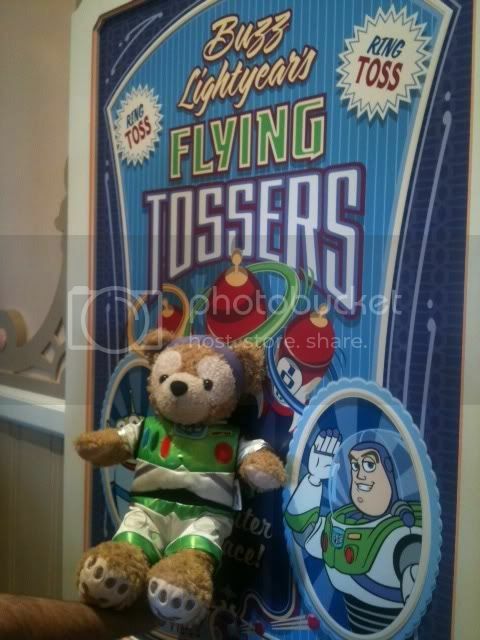 The three stores that sell Duffy items had the costume. And seemed to have plenty of them out. So it may not be line the sailor suites or pins, and are being bought out everyday. Thank goodness. He he is just ready to get off the ride. I just got back from Epcot and sadly NO Woody, not yet. They should have him soon though according to a castmember. I did however FINALLY found the Light Chaser. Epcot got the light chasers in a few days ago. When I was in the Duffy store there were a lot of people buying Duffy merchandise. This is good since Epcot was not that busy today. Thanks for posting gurgi. Its amazing that Disney has a more detailed costume then BaB. I hope its a new trend they stay with. Thanks for the update updebrooke. I look forward to see the Woody costume. Off topic, I like your photo of a Westie. Westie are so cute. Thanks! That's my little Wesley, the Westie who I adopted. He's a real sweetheart. Not like most Westies, he's a hugger, lol! SO excited for the Woody costume! I'll be at Epcot tomorrow so I'll find out if Woody is there. Any sightings of the popcorn bucket or mugs? None at Epcot.